In the spirit of giving during the holiday season, Niagara Health is proud to announce we’ve raised a record $75,470 this year for United Way through employee giving. Niagara Health’s 2016 workplace campaign committee set an optimistic goal of increasing staff contributions by 10 per cent and we are very proud to exceed that goal. Every dollar we raised came directly from our caring team of our staff, physicians and volunteers. 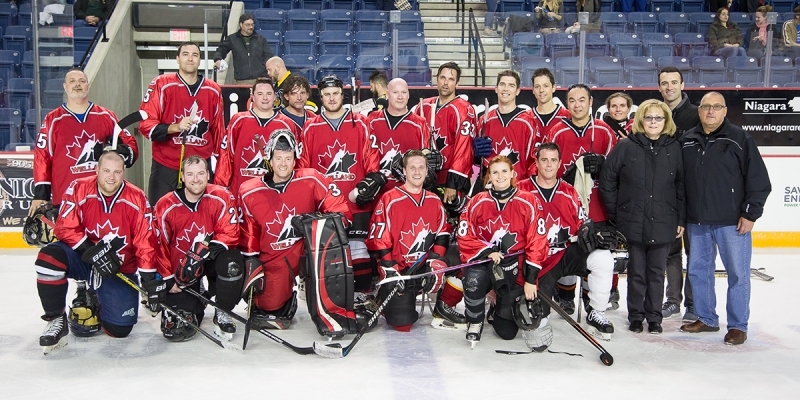 The highlight of our campaign this year was our November 5 hockey game, where our first-ever Niagara Health Extraordinaires hockey team took to the ice at the Meridian Centre in St. Catharines against the 97.7-HTZ FM Biggs and Barr Barians in support of United Way. 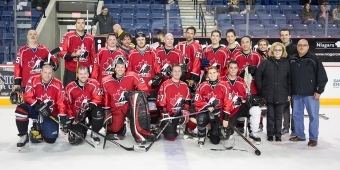 In addition to the hockey game, the rest of the money was raised through employee payroll deductions and one-time donations from staff, physicians and volunteers. “I am so proud of our entire Niagara Health team and our commitment toward achieving ambitious results. Our team continues to show extraordinary caring and compassion for our community and support for essential programs and services in our community, many of them partners in care,” says Johnston.